He was a fatalist, Pedro, a man who believed absolutely that God called the shots. His philosophy was always evident in his driving, at once stylish and fearless. Rodriguez, child of arid Mexico, was never better than in treacherous and uncertain conditions. 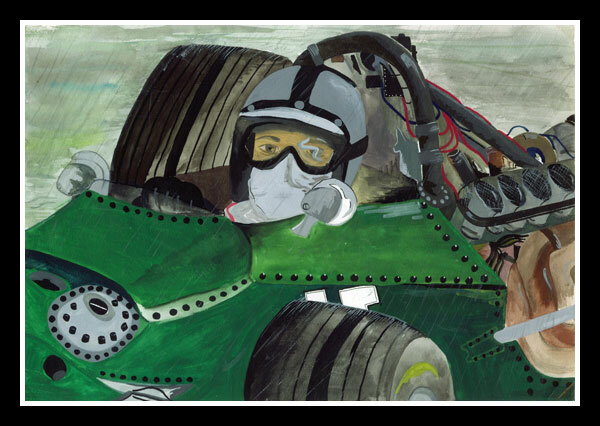 Driving sports cars for John Wyer, and with BRM in Formula 1, Pedro settled happily in England. When he arrived at a circuit, it was in a sedately driven Bentley, and on his swept-back black hair sat a Bond Street deerstalker. But once into overalls, there was no hint of the dilettante. No-one raced harder than Rodriguez, and his stamina was a legend. Spa-Francorchamps (the old circuit, of course) brought out every great quality in him. Amon, who tailed him throughout the Belgian Grand Prix of 1970, reported that his precision through the fast sweepers was absolute. Through history Pedro’s name will be synonymous with the Porsche 917, but this day in the V12 BRM was his greatest. It was his passion for the sport which killed him. A weekend without a race was a weekend lost, so he accepted an Interserie sports car drive at the Norisring in July 1971. And there he died by someone else’s error.